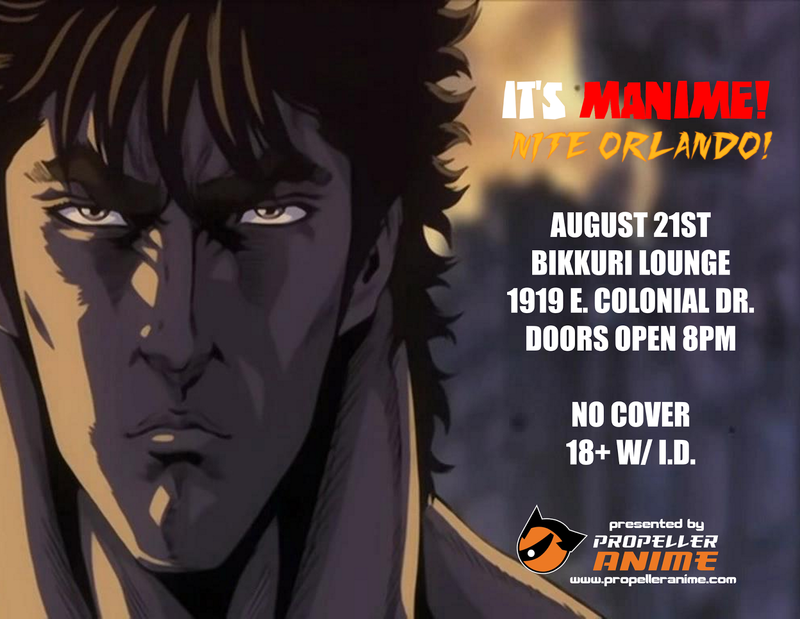 Summer's coming to an end but Anime Nite Orlando is hotter than ever! 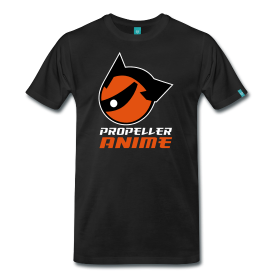 Propeller Anime will be back at Bikkuri Lounge (1919 E. Colonial Dr.) on Thursday, September 18th for a very special Anime Nite Orlando! 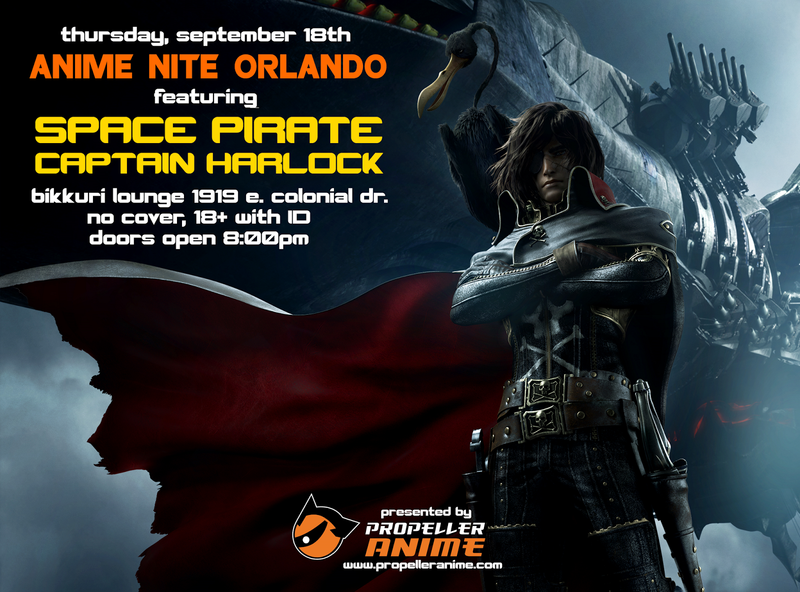 Our main feature will be the new theatrical adaption of Leiji Matsumoto's Space Pirate Captain Harlock! We have some exciting news to announce for the upcoming Anime Nite Orlando, including the winner of our tournament that YOU voted on! 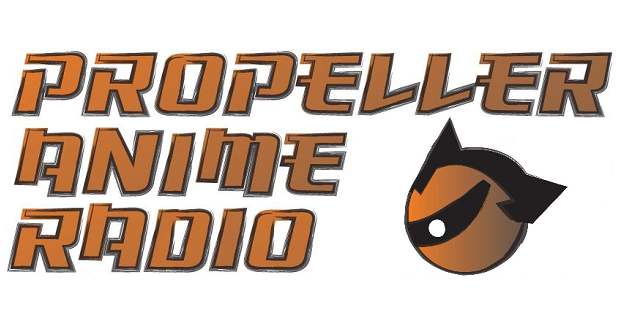 Propeller Anime Radio Episode #18: Anime For Chicks, Sailor Moon Crystal, AFO 15... and the end of Ghibli?! It's hot outside these days! 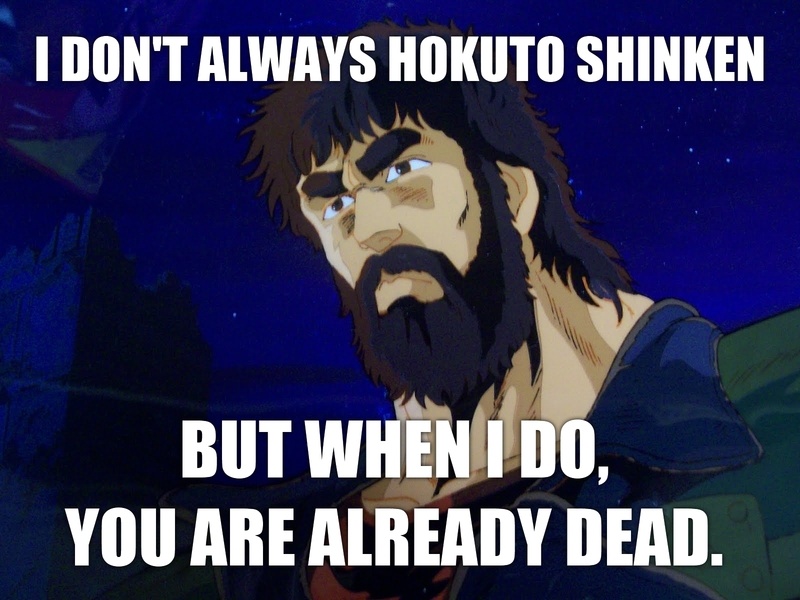 Stay inside and listen to our latest podcast! Kent and Shamus have a special guest! It's Sarah from Anime Spot! 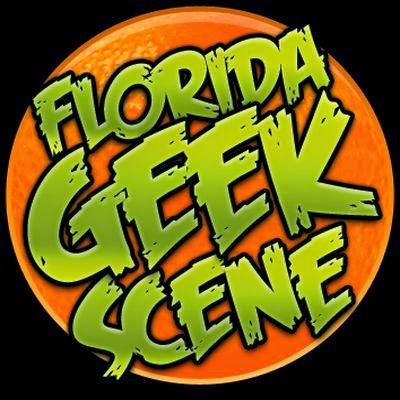 Sarah co-hosted a panel at Anime Festival Orlando called "Anime for Chicks" and we'll be talking about that, Sailor Moon Crystal, AFO 15, and some news regarding Studio Ghibli and Harmony Gold.